My father! He did, indeed, instruct my mind and form my convictions. He pulled me out of the middle class muck. He took the trouble to knead and shape my soul in his own image. He made a simple and sincere creature out of the doll I was. He gave me the heart and mind of a citizen. All those people who whispered to each other when they saw us passing by or who smiled seeing my twenty springtimes next to his fifty autumns do not know how unimportant their ironies and innuendos were to my utter indifference or to the deepest joys I experienced in the role I accepted by his side. It would be easy to laugh at Antigone if she were not Oedipus’ daughter—and especially if Oedipus’ eyes were still young under his helmet of white hair. But how little did I care! And what sweet revenge for me when we sat at his desk and he sketched the legend of the proletariat, perpetually wounded, perpetually defeated. His style was visual, to create images—beautiful images always tinted with red… the blood of the oppressed that has run for centuries without its source ever drying up. And then he cradled my young beliefs with the carols of Dupont, the songs of Clément and the refrains of Pottier! And at his side, like a good little girl, I recited the alphabet of the Revolution. My father, certainly, yes! And yet, how much better the second word: my child. Ah! I am fully aware that for anyone who does not care or who disapproves this motherly name sounds funny coming from a young woman talking about an old man more than a quarter of a century her senior. But it is not for the indifferent or the hostile that I am writing this. Those who are reading me today on this anniversary are those who were part of Vallès’ funeral procession a year ago and escorted me in my grief. This is the family I have chosen as my own, the anonymous relations of the lower classes, the great crowd of sufferers to whom I give all my heart and for whom I hope, one day, to give my life! To them I can tell my sorrow—they respect tears. But they only knew Vallès when he was rowdy and full of life, loud and spirited, when his voice filled up the room, his laughter shook the windows and his grip crushed, though it was the grip of such a warm hand. I did not know this Vallès very well. My Vallès is the one with whom I fought through sickness for three painful years and the one for whom I grappled with death for six dreadful weeks. Except, I also felt good that I was such a little thing to him, that I had missed his vagabond years and that our literary collaboration—the strong bond between us—which was developed with so much appreciation on my part, was for him merely a master patronizing his apprentice. I was an extra in his life—nothing more. When the sickness cast him down and hounded him like a vulture circling battlefields to finish off the wounded; when it tore off his flesh and gnawed at his lungs with its claws and beak; when nothing remained of the Hercules of old but a kind of ghost, thin as a skeleton and weak as a child, oh, then I was needed in his life and I was, I can say with pride, life itself for him! And while his face lit up, he huddled in my arms almost in fear and I felt It prowling around us—That which we cannot avoid—implacable Death waiting for me to let go of him so It could steal him away. My child! I will never take that back. He weighed less than a child when I carried his poor, wasted body from bed to bed. He called for me like a child, day and night, every minute, just to see me leaning over him and to feel me near. And I buried him myself like the brave mothers who sew the flesh of their flesh into a shroud. I am saying all this, I swear, not to talk about what I did. We do not deserve praise for doing our duty when we get such bitter joy from it. And again it is not an “article” I am writing—it is my grief that I express, good or bad, come as it may! Well, do you really believe that he was so selfish, cruel and inhuman? He who was able to inspire such motherly and daughterly tenderness and passion? He whom we keep in memory like a religion? February 14 1886, include in Pages Rouges, 1893. Pierre Dupont (1821-1870), socialist songwriter; Jean Baptiste Clément (1836-1903), writer of “Le Temps des Cerises”; and Eugène Pottier (1816-1887), writer of “L’Internationale”. He was fifty years old. His hair and beard white like a biblical patriarch. Deep wrinkles slashed across his forehead above his bushy eyebrows. He was ugly, gruff and grim with the voice of an ogre, constantly grumbling about all kinds of tyranny… family, school, police, empire… and he was sick to boot, diabetic. The trials and tribulations of his life had taken their toll. But the gaze of his dark eyes was as hard as nails. Jules Vallès was one of the lions of the newspaper jungle, an incorruptible fighter of the good fight, a horror for editors who had to answer to Anastasie (the name given to official censorship). He was an honest writer, sincere, ardent and full of striking images—he cried real tears and bled real blood. He was not one of those stuffy, pretentious, literary types: “Too bad for the barbarisms, I don’t claim to be a man of letters.” He was also independent of any particular school of thought. All forms of organized action by committees, parties, societies, etc. repulsed him. He wanted nothing to do with ideologies. He was unclassifiable, even among the rebels. Moreover, he was one of the most outspoken of the dissidents, having spent years founding short-lived newspapers that were seized by the police, fined by the government and ultimately responsible for his frequent visits to the prisons of Paris. He paid a high price for his audacity to be free. The 19th century in France saw many, often contradictory laws and regulations limiting freedom of expression under the various political regimes. Although most journalists tended to accept the restraints, there were always those who shook off the muzzles. In 1870 after years of repressive laws under the Second Empire that gagged and governed the press, journalists got drunk on the expectation of freedom that the Republic could offer. But even the Paris Commune forbade the publication of newspapers that were hostile to it. Vallès was there, elected to the council, and was one of the few to oppose this: “I’m for the absolute, unlimited freedom of the press. Freedom without boundaries!” This was his attitude when he founded Le Cri du Peuple, one of the most influential papers of the period, which achieved the success he had been waiting for. 100,000 copies in Paris under seige. But it was a brief triumph. While a young Caroline Rémy was watching Paris burn from the Charenton Bridge, Jules Vallès was escaping the flames to spend the next ten years in exile. The amnesty granted on July 10 1880 freed 541 men and 9 women, including some of the most popular figures of the time, like Louis Michel, Henri Rochefort and, of course, Vallès himself. “The Commune was a great big celebration that the people of Paris first offered to themselves and then to the world,” he told Séverine. Through Vallès she met many of the old Communards who would sit around and talk for hours on end about the Ideal, reliving history, their history. They brought the Commune to life, from the taking of the cannons in Montmartre to the final hours in Père Lachaise cemetery. Also through Vallès she discovered the Revolution through hearing about his life and the life of common people. She learned how to listen, understand and sympathize with the poorest of the poor. And she learned the business of the press. In the 1880s the heart of the press beat on the Boulevard des Italiens, near the luxury shops, banks and theaters, where almost all of the newspapers had their offices. The nerve centers were, of course, the editorial rooms. But maybe more instrumental were the cafes on the boulevard where the journalists met to drink and discuss politics, culture and the scandals of the day. At Tortoni’s in the autumn of 1883 the men sat agape and astonished when they saw Jules Vallès enter. Badly shaven, in his old clothes, lumbering around, grouchy and rude, holding the arm of a blue-eyed, copper-haired beauty, half his age, elegant and reserved, but a little wild at the same time. He looked daggers at you when his hackles were up; she stared like a child, brazen and serious enough to embarrass you with those piercing green eyes that refused to turn away. He introduced her as his secretary. She was still Caroline, not yet Séverine but no longer Line who had been born around the corner in a house that was demolished in 1868 to make way for Baron Haussmann’s grand boulevard. And they accepted her in this exclusively male milieu, which had never before admitted a female among their company, because she was sponsored by Vallès, whom they dared not refuse. Soon, however, she would be accepted in her own right, the first woman to be so “honored”. With the same passion and diligence that she devoted to his writing she took on her boss’ new project: he intended to launch a new paper or rather revive an old one, Le Cri du Peuple. “It’s only the pursuit of a goal that makes life ‘alive’,” he wrote to her, “We will pursue it together.” So she became, in many ways, his partner. 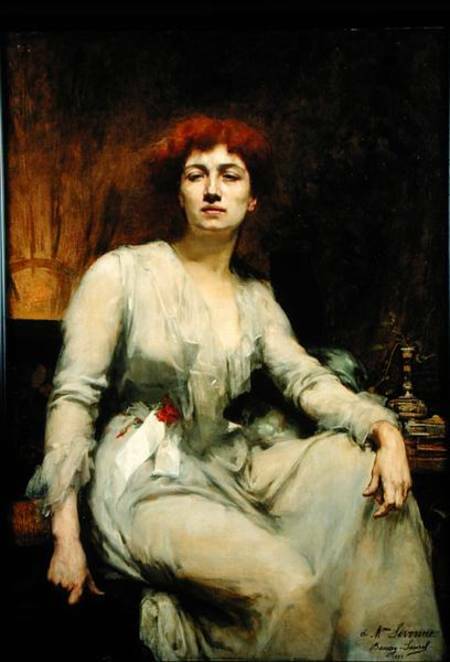 For one because he saw in her a kind of sister soul, a dissenter, a misfit—her wild seed. He trusted her. More importantly, perhaps, at the moment, was that she could finance it. Adrien Guebhard was easily convinced to furnish most of the money, though it was hardly a profitable investment—the press of opinion, the political press normally cost more than it brought in—but giving a paper to Vallès was like giving one to her. Although she had not yet published a single article, she had already proven herself capable of doing so by rewriting Vallès. 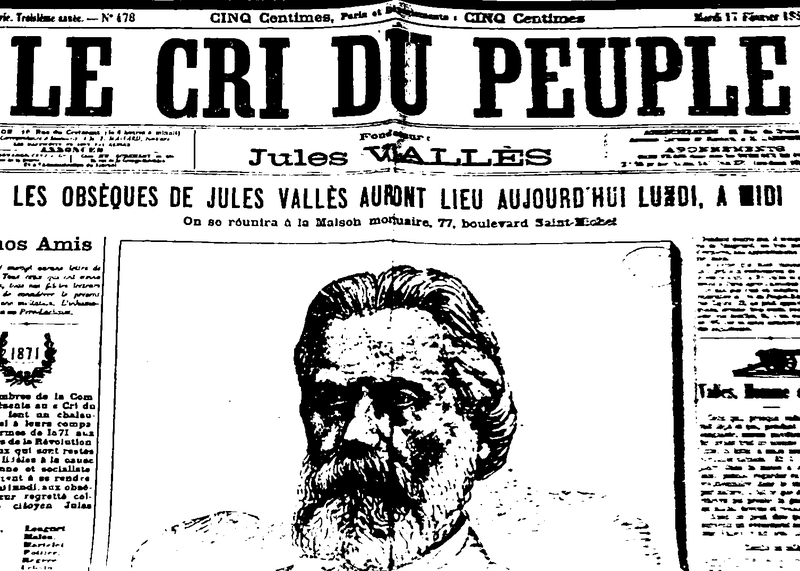 The first edition of Le Cri du People appeared on October 28 1883. There were twenty people on the staff around Vallès, who was grumpier than ever, and Caroline, who had chosen to wait to take the plunge into journalism, but not for long. Her first article came out on November 23, signed Séverin, the masculine form. The second article used the same male name. To appease the editorial team? To justify her writing? There were, of course, deep-seated prejudices against women writing substance despite such famous predecessors, mostly under male pseudonyms, such as Olympe de Gouges, who was guillotined during the Revolution, or Delphine Gay who signed Vicomte Charles de Launay to her influential articles on Parisian society in La Presse; Marie d’Agoult, the aristocratic lover of Liszt, wrote under the name of Daniel Stern; Victoire Léodile Béra called herself André Léo; and Aurore Dupin who took the name George Sand to publish her writings. But none of these women had to make a living off their publications like Séverine would soon have to. Nevertheless, whatever the reason for these first two male masks might have been, on December 15 1883 she published her third article and Séverine was born. While Séverine was embarking on her journalistic career, Vallès’ diabetes got worse. At first he had to stop working so hard and soon he had to stay home entirely. Séverine took care of everything: his work, food, health and comfort. She brought him his papers and acted as agent between him and the editorial staff, which had not developed into what he had dreamed of. By the beginning of 1885 he was bedridden. For six weeks she practically did not leave his side. He became so thin and frail that she had to carry him in her arms, like a child, from the armchair to the bed and back again. He was virtually helpless and Séverine had to be mother, daughter, friend, collaborator and nurse all at the same time. But his reputation as a troublemaker did not decline with his health. In Le Cri du Peuple was a column entitled “The Political Police” that denounced the corrupt agents of repression, gave their addresses and named them for public condemnation. A scandal broke out over the death of Madame Ballerich, the mother of two policemen, whose murderer, Gamahut, was sentenced to death. The author of the column claimed that the chief of police himself had sent Gamahut to kill her so as to distract public attention away from the budget deficit. The two police brothers invaded the offices of Le Cri demanding the identity of the writer, but almost all the staff claimed authorship to cover him. The office was sacked and shots were fired. There was blood everywhere; Duc-Quercy had been stabbed under his arm before shooting one of the drunken Ballerichs. Afterward more than a dozen policemen invaded Séverine’s apartment where Vallès had moved, forcing him out of his deathbed to conduct their nine-hour search for documents about the real identity of the “slanderer”. In fact, they knew perfectly who the author, Chastan or Chastenet, was—it was rumored that he was an informant planted by the police—but used the opportunity as a pretext to harass Vallès and Le Cri. The following day Vallès received two death threats, one of them from a police officer who, as fate would have it, did not have time to make good on it. Less than a month later, on February 14 1885 Jules Vallès died at the age of fifty-three. The official estimate said that 15,000 people gathered in the streets for his funeral procession two days afterward. Just as he had always opened his papers to men of all faiths and ideals, so too at his funeral could be found socialists, communists, guesdists, possibilists, anarchists, collectivists, workers, freethinkers and the survivors of the Commune. But the hatred he had attracted during his life broke out one last time over his coffin: a group of German socialist students started yelling and shouting and started a violent brawl that the police had to break up. Finally the eulogy was given by Edouard Vaillant who recalled the duty Vallès had fulfilled until his dying day: to serve the cause of the suffering and oppressed, to call for revolutionary action in order to install that Republic with no God and no Masters, which he had fought his entire life for. And he had passed the flame to Séverine. She was his living testament, his posterity. And she was ready to fulfill the hopes he had placed in her. She may not change the world with the stroke of a pen, but she could die trying. 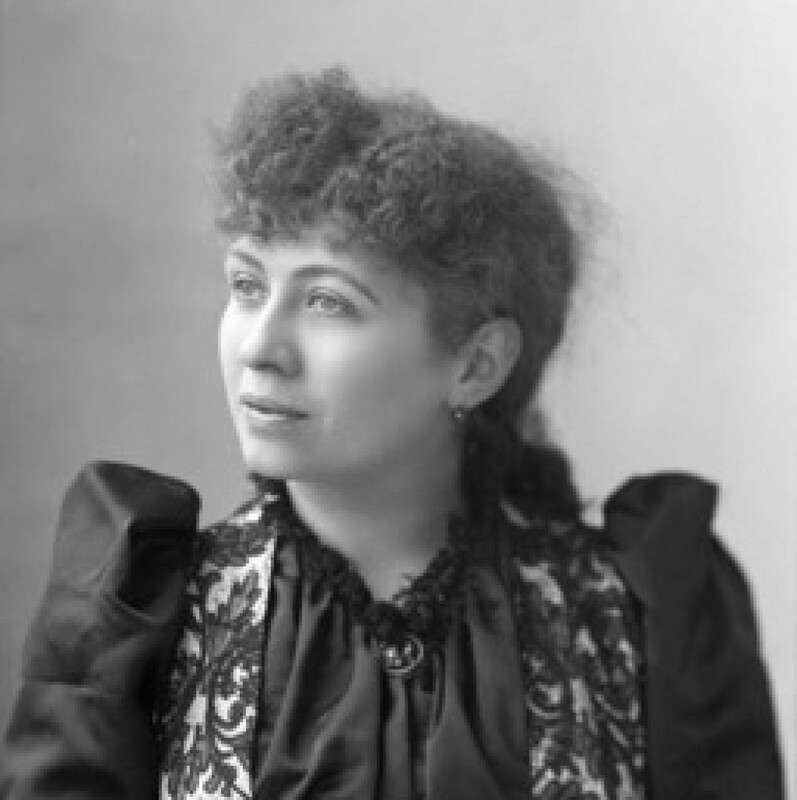 For Jules Vallès, the most important thing was that she never give up the fight. A Communard who died in 1915.